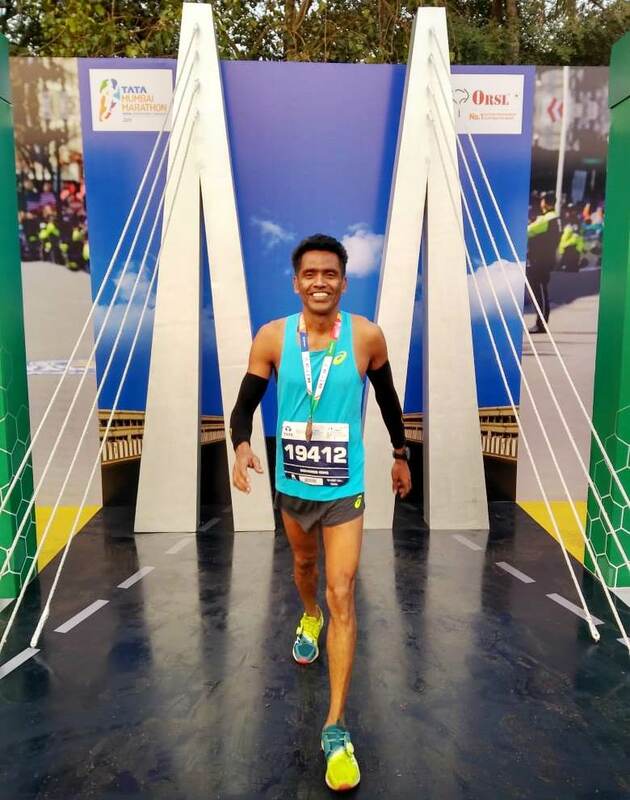 In 2018, Bijay Deka from Assam had won the amateur category of the Tata Mumbai Marathon (TMM) with a timing of 2:42 hours. One year later, the 23-year-old was winner again in 2019 TMM’s amateur category, improving his previous year’s timing by nearly 10 minutes. He finished the winning run in 2:32:56, also his personal best. At 2019 TMM, he started the run very well, running with two other runners at a moderately good pace. “We ran together until 17k. After that, I stepped up my pace and kept increasing it, eventually completing the run with a personal best,” he said. He kept looking over his shoulder to find out if there was anybody. “There was nobody behind me in the latter part of the marathon,” he said. This is evident in the timings of the podium finishers. Tlanding Wahlang from Meghalaya who finished second with a timing of 2:40:53 was eight minutes behind Bijay. Bijay has had sporadic stints in running since his junior school days but nothing structured to help him get into athletics. “In 2008, I saw an advertisement for the Guwahati Half Marathon. I applied for it and ran the race. I ended in seventh position,” he said. Running some of the local events, he got noticed by Amateur Runners Guwahati, a group based in Assam’s capital city. Some of the members of the group took keen interest in the young lad and started sponsoring his participation and travel to running events. A resident of Guwahati, Bijay runs for a living. “I live in Guwahati with a couple of friends. We have rented a place,” he said. His mother and brother live with his uncle. He lost his father when he was in seventh grade in school. He studied up to 12th standard but could not clear it. He now plans to resume his studies along with continuing his running. He does not follow any specific diet. “I just eat home food. No special protein supplements or anything like that,” he said. Living in close proximity to a stadium, he is able to do his speed workouts there. “For strength training, I refer some of the videos on YouTube,” he said. 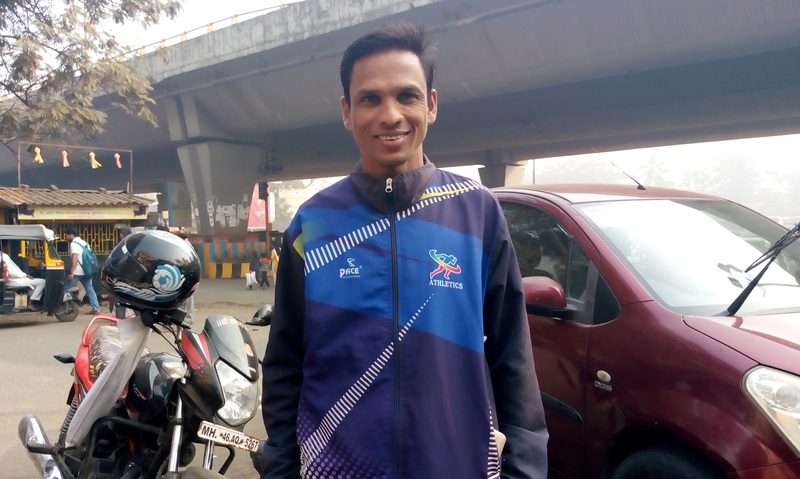 Bijay will be travelling to Gurugram to participate in the Amity Gurugram Marathon, scheduled for February 10 this year. His also plans to participate in the Airtel Hyderabad Marathon in August. 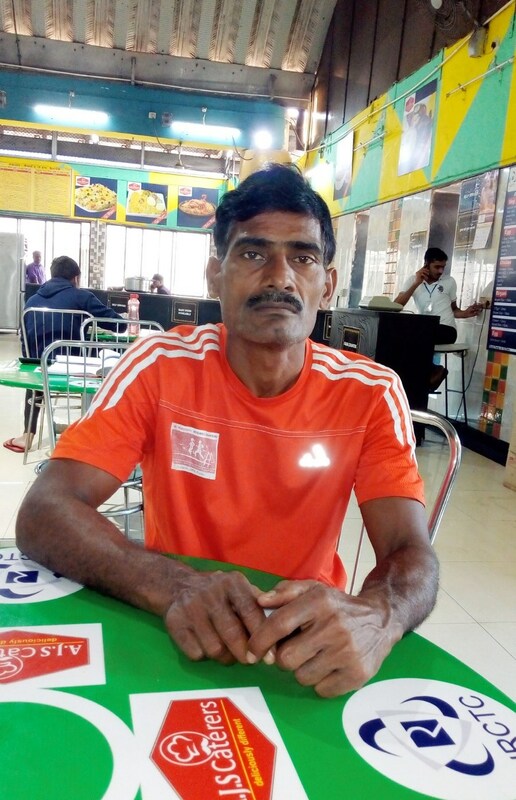 This ultra-marathon runner was left with very little time to train for the 2019 edition of the Mumbai Marathon. The last few months have been very hectic for her. She went to participate in the 100 k IAU World Championships in Croatia barely weeks after a bout of dengue. In November, she ran the New York Marathon. Once back, she had to go in for surgery to remove lumps in her breast. “I started training for Mumbai Marathon towards the end of December,” she said. Nevertheless, she had an excellent race finishing second overall among women amateur marathon runners and first in her age group (45-49 years). She completed the full marathon in 3:21:05. “This year, the race organization was much better and the finish was smooth. Running the last 10 kilometers was very good because the organizers had carved out a separate lane for full marathon runners. We did not have to spend too much time and energy trying to wade through half marathon runners,” she said. Also, the volunteers were trained very well to hand out hydration. “I love Mumbai’s cheering. Its there all along the route except on the sea link. This time around the number of full marathon runners was up at 8000 and that meant the quality of runners was much better,” Anjali said. Post-race arrangements were also well managed this time, according to her. The overall experience was uplifting. “Tata Mumbai Marathon is a dear race for me and I will continue to run it as long as I can. This time, I ended up second overall among amateur women runners and first in my age group,” she said. At the Wasan Motors showroom in Borivali, Deepak Bandbe spends a lot of time on his feet as a sales executive talking about cars to potential clients. “There are days when I may have completed a training run of 40 kilometers and be at my workplace by 10 AM,” he said. Deepak has been participating in the Mumbai Marathon for the past three years. In 2019 he chose to attempt the full marathon. He finished the race with a timing of 2:41:37 hours, emerging third overall among amateur marathon runners and first in his age category of 25-29 years. 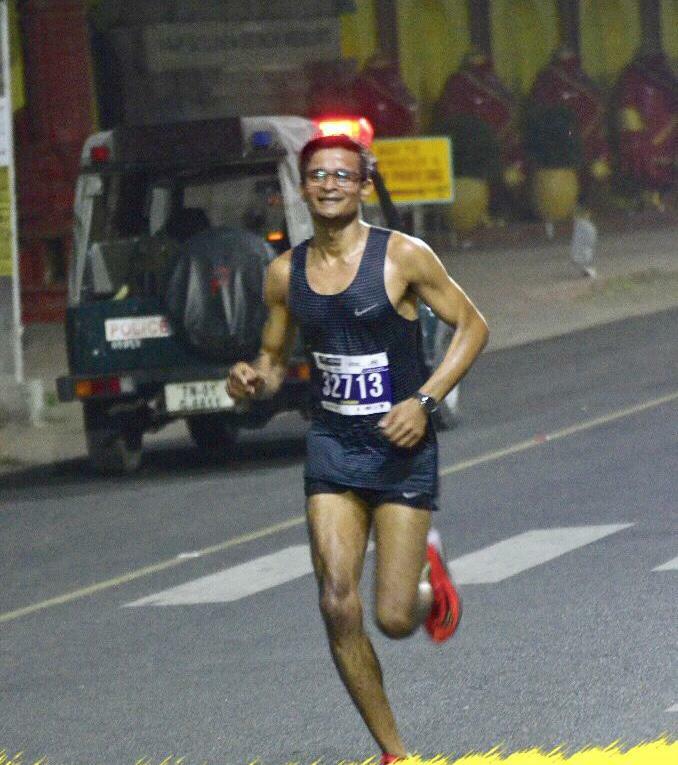 Training under well-known coach Daniel Vaz, Deepak had a target of completing the marathon in 2:39 hours. “I was on track to achieve that timing. But in the last six kilometers you run into a wall of slow half marathon runners on the course. I had to dodge between runners and shout at them asking them to move out of my way. I almost ended up getting a sore throat doing that,” he said. At one point on Peddar Road, he nearly fell over a half marathon runner, who suddenly chose to flop down on the road to tie her shoelaces. “My heart was racing so hard when I suddenly stopped to prevent myself from falling over,” he said. Nevertheless, he enjoyed his run. “The overall arrangements were superb. The starting line-up was organized very well,” he said. He has been running for the past three and a half years. “I had absolutely no exposure to sports during my school and college years. I had no idea about stretching and strengthening,” he said. A resident of Borivali, he took to running out of interest and the need for fitness. Subsequently members of BNP Green Runners noticed him for his speed in running and offered him guidance. “Initially, I got some guidance from coach, Melwyn Crasto,” he said. He currently trains with Daniel Vaz. Many of the runners of BNP GR support him with registration, gear and travel expenses. Deepak is from Shembavane village in Rajapur, Ratnagiri district. His siblings, a brother and a sister, live in Virar and Sewri respectively while his parents reside in the village. His next major outing will be the Comrades Marathon, an ultra-marathon event in South Africa on June 6, 2019. As part of his training for Comrades, he will be participating in Tata Ultra in February where he will be running 50k. In 2015, when her friends shared photographs of the Airtel Delhi Half Marathon, it sparked Seema Yadav’s curiosity about running. “ I contacted a friend. She told me I must first focus on strength training,” Seema said. The idea of a gym did not appeal to her. Nevertheless she joined one. At the gym she met runners from Reebok Running Group and began running with some of them. A few runs later, Seema attempted the half marathon distance at the 2016 edition of IDBI Federal Life Insurance Marathon. She covered the distance in 2:02:36. Subsequently, her timing in the half marathon kept improving. This prompted her to attempt the full marathon at the 2017 edition of Mumbai Marathon. She finished the race in 3:57 hours. 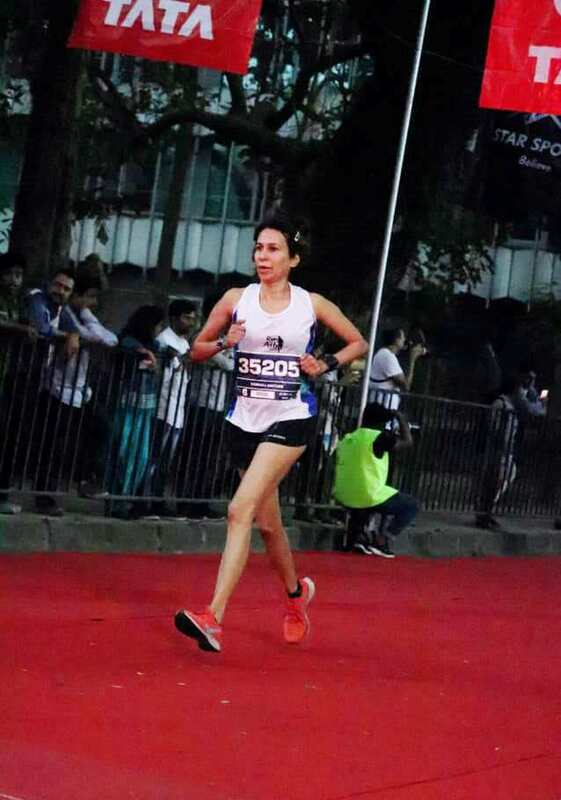 At the 2019 edition of Tata Mumbai Marathon, Seema’s run went as per plan and she finished the race in fifth position overall among amateur women; she also topped in her age category. The time she took – 3:30:01 – was a personal best. “ I love running in Mumbai. I love the cheering here so much. You won’t find this kind of cheering anywhere else in India. This time the arrangements were quite good. For the last 4-5 kilometers there was a separate lane for full marathon runners,’’ Seema, now a resident of Faridabad, near Delhi, said. Originally hailing from Mumbai, the city’s weather was not an issue for her. Seema’s next outing will be the 2019 Boston Marathon, for which she secured a berth through her timing. Going forward, her focus will be on both the full and half marathon distances. “ I want to improve my timing in both these disciplines,’’ she said. 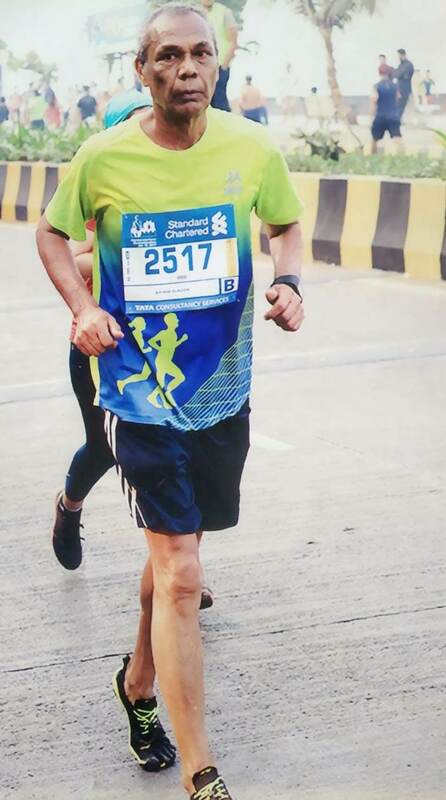 Bangalore-based Ashok Nath has been running for many years and is a regular participant at many marathons around the world including the iconic Boston Marathon. 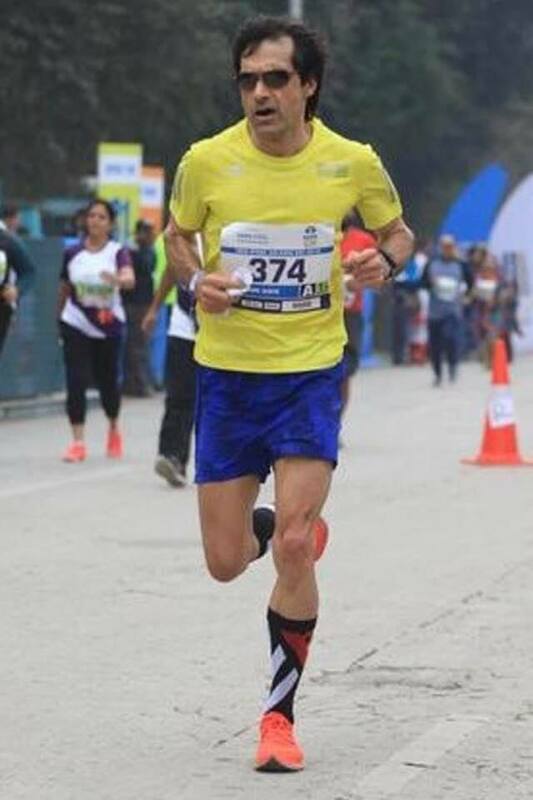 At the 2019 edition of Mumbai Marathon, he was pacing a runner to help achieve his qualifying time of 3:17 hours for the Boston Marathon. “My timing is usually around 3:05 hours but this time I wasn’t racing to meet any target,” he said. “As you grow older you need to be cautious about running so as to avoid injury,” he said. He completed the full marathon at 2019 TMM in 3:17:05. Many runners complained of harsh weather during Sunday’s marathon but Ashok felt the weather was not as bad as it was made out to be. Also, Mumbai Marathon is not a tough course. “Yes, one has to be watchful while running because the roads are not uniformly good,” he said adding that the Peddar Road uphill is needlessly exaggerated. Mumbai Marathon has been improving in terms of arrangements over the years but there are some lacunae that need to be addressed soon. “The running corrals need to be more sharply defined especially for the marathon race. There should be sharper demarcation between corrals,” he said. Other issues that need to be looked into urgently are the quality of roads, demarcation of half marathon and marathon runners. “Also, at the finish point the landing stretch must be spacious to allow the runners to continue running. The abrupt stop in running at the finish point is detrimental to the runner. These are issues that need to be looked into urgently,” he said. Ashok will be attempting the full marathon in Delhi in February. He will head to the Boston Marathon in April. In recent times, Bobby has been a sub three hour-marathon runner. 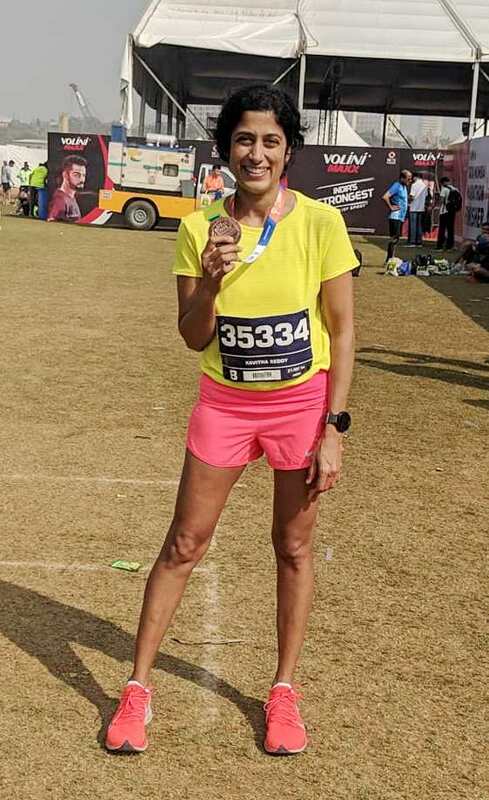 At the 2019 edition of Mumbai Marathon, he continued the trend. He completed the full marathon in 2:59:51. Although sub-three hour finish, the time he took wasn’t an improvement over his personal best in the discipline. “The timing this year was not my best. My hydration strategy did not work,” he said. A barefoot runner, Bobby was on track for a good finish for most part of the distance of 42.195 kilometers. However with barely four kilometers left to finish, he felt the impact of dehydration. Well past Peddar Road, when he entered the Marine Drive section dehydration began to really hit him. “I found the Marine Drive stretch endless and I struggled there. I had to slow down,” he said. Aware of Mumbai weather conditions Bobby’s hydration strategy during the marathon was to keep having sips of water. Obviously, that was not enough on January 20, race day. “During my training runs, I do not drink so much water,” he said. “My finish was not good. For the last 400 meters I had to walk and jog. At the finish line, the medical team put me in a wheelchair to take me to the medical tent but I chose to get out as sitting in the wheelchair was giving me cramps,” he said. “I found the energy of the city outstanding. From the event management point of view, I found it quite good,” he said adding that the quality of roads was also good and as a barefoot runner he faced no problems. Bobby will now be participating in the New Delhi Marathon. His approach straddles two key running events every year – the Tata Mumbai Marathon in January and the TCS 10 K in Bengaluru in May. It was Nihal’s first appearance at the Tata Mumbai Marathon. He completed the full marathon in 2:47:29 to place ninth among amateur runners of the distance and second in his age category. In the process he also chopped off 15 minutes from his previous best timing of 3:03:37 hours registered at the 2018 Hyderabad Marathon. Nihal started running during his student days at IIT Mumbai, mostly doing five kilometer-runs. He then trained with the institute’s athletic team and represented IIT Mumbai in many competitive events. “Last two years, I have been doing both half and full marathons,” Nihal said. He now works as Risk Associate with MSCI in Mumbai. At 2019 TMM, his target was to finish the run with timing in the range of 2:50-2:52 hours. “After the first two kilometers, I felt I could increase my pace and was comfortable running at that pace. Past the first 10 kilometers, I slowed my pace a bit for the next 10 kilometers. For the remaining distance I once again stepped up my pace. I suffered cramps at around 39 kilometers and had to stop and stretch,” he said. A triathlete, Nihal trains on his own and designs his own training program. Since he is an alumnus of IIT Mumbai he is able to run inside the institute’s sprawling campus at Powai. “Being a triathlete has helped me improve my cardiovascular ability,” Nihal said. In December of 2019, he participated in Half Ironman at Bahrain and emerged fifth in his age group, finishing the three disciplines in 4:44 hours. Sharath Kumar had some exposure to badminton during his undergraduate years. It was while doing his M.Tech at IIT Kharagpur that he took up running; he ran on a ground in the institute’s campus. “It was a 2.2 kilometer-loop and I kept running that loop. Slowly, the number of loops increased,” he said. In 2013, he enrolled for TCS 10k in Bengaluru. With that his journey into long distance racing started. He has been running Mumbai Marathon since 2015 and his preferred distance here is the full marathon. “I was very surprised with my podium position this time,” he said. Sharath Kumar finished the full marathon with a timing of 2:49:03 emerging first in his age category of 30-34 years. His overall position among amateur marathon runners was 12. This is his first podium at TMM. This is also his personal best. “This time, my training was much better and I was mentally more prepared. I was able to hold on to the pace well throughout the race,” he said. He had a target of 2:47 but fell slightly short of that. Sometimes, wading through a sea of half marathon runners in the latter part of the race can sap one’s strength and take away some time, he said. He was unperturbed by Mumbai’s weather. He felt such weather as one had on race day is to be expected in Mumbai. “The crowd support here is quite good,” he said. Sharath Kumar chalks out his own training program. “I read a lot of books on running and trawl the internet for information. I try to incorporate what is relevant for me in my training,” he said. A resident of Jamshedpur, Sharath Kumar works as Senior Manager at Tata Steel. “We have a very good synthetic track where I can do my speed workouts,” he said. In April 2019, he will be heading to the Boston Marathon, his second outing there, followed by the Chicago Marathon later in the year. He believes that with good training and proper diet he has the capability and to shave off another 10-12 minutes from his current timing in the marathon. A sportswoman, Ranjini Gupta took a hiatus from the active lifestyle for a few years. Six year ago, after the birth of her second child, she resumed her link with fitness beginning with jogging on the streets of Chennai, where she lived then. Ranjini was a hockey player during her school days and went on to represent Karnataka state in the sport. Later, she also got into football and represented Bangalore University. Her first race in running was a 10k organised by Dream Runners. “Initially, I did not know much about running as distinct discipline. I slowly started to understand the sport,” she said. She continued participating in races and from 2013, also found herself on the podium at some of these events. In 2013, she contacted Bengaluru-based coach K.C. Kothandapani and started to train online with him. Four years ago she moved to Bengaluru. That improved the training further. At 2019 TMM, she had a specific plan designed by her coach. “It was executed well. I was supposed to run the first half in 1:48-1:50 hours and the second half in similar time. Right from the start, I held myself back and did not push,” she said. She finished the run in 3:38:19 hours. This marathon was her training run for the National Marathon Championships 2019, slated to be held on February 24 in New Delhi. 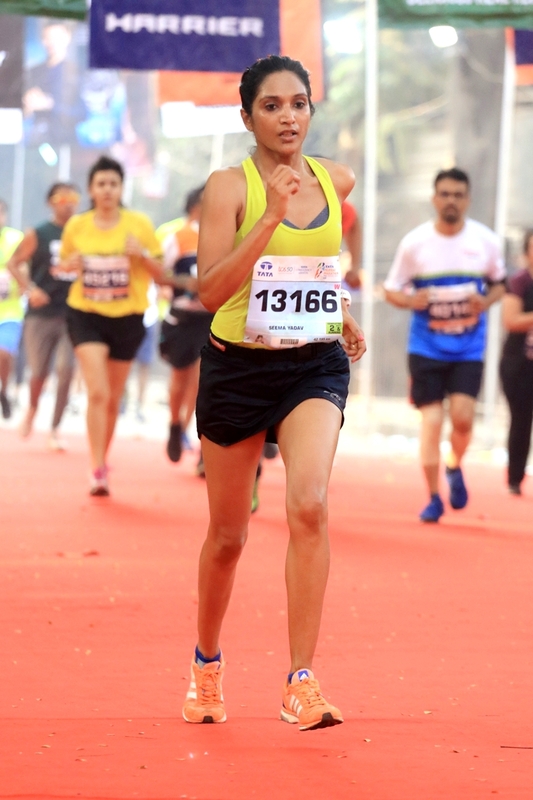 TMM was her third marathon in the last four months, starting with Bengaluru Marathon in October 2018 and followed by Bengaluru Midnight Marathon in December 2018. “In Delhi, I would like to go all out and give my best. Also, the course is better and the weather is expected to be good,” she said. She has participated in Mumbai Marathon four times so far – 2014, 2015, 2016 and 2019. She has also completed three of the World Marathon Majors – Berlin, Chicago and Tokyo. This year, she will be attempting the New York City Marathon and next year, the Boston Marathon. An ACE (American Council on Exercise) certified personal trainer, she runs her own training outfit – Rungenie Fitness – which offers fitness-training to football players. A pediatrician by profession, Vaijayanti has secured podium finish in several of the events she participated in. In terms of timing, she ended the race with a time of 4:25 hours compared to her personal best of 4:19 hours. According to her, the overall experience of running Mumbai Marathon was excellent. This year, she has not planned any major running events yet. Apart from Tata Ultra nothing has been chalked out yet. This was the fourth win for Amar Chauhan in his age group at TMM. 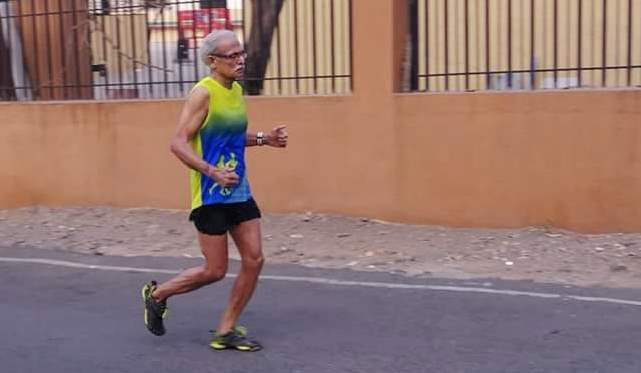 At 2019 TMM, the 76 year-old completed the full marathon in 4:12:02 hours topping the list among runners over 75 years of age. “The person who came in second was 1:22 hours behind me,” he said. Amar stays for six months in Chandigarh and spends the remaining six months of the year travelling to Canada and the US, where his two sons live. He participates in running event in these places. His win at 2019 TMM was his 56th win from 63 marathons participated in so far. Confident of achieving a sub-four hour finish, his run went off smoothly until the 39th kilometer. “After 39 kilometers I started to get cramps. I had to stop and stretch. This delayed my finish,” he said. His personal best of 4:02:27 in the full marathon happened during 2018 TMM. Amar follows a meticulous training schedule. “I run one day and do brisk walking the next day. The mileage ranges from 12 to 20 kilometers,” he said. While in Chandigarh, he stays alone for the six months that he lives here. He will be participating in a couple of marathons in the next few weeks. In March, he is scheduled to participate in the 12 hour stadium run in Delhi. “Since I am 76 years old I want to run 76 k during the allotted time period. I will resort to run-walk,” he said. 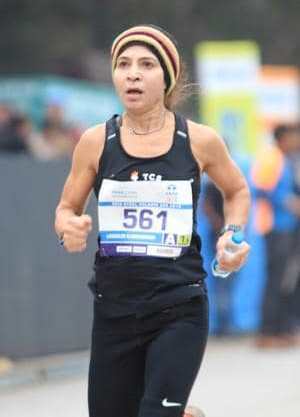 Shikha Pahwa was unable to give her 100 per cent for her run at 2019 TMM run because she was nursing an injury. “I could have done better,” she said. Her target was to finish the run in 3:30 hours. She completed the full marathon in 3:38:55 hours securing second position in age group 30-34 years and ninth overall among amateur women. Shikha has been running for the last ten years. She started with shorter distances like the 10k and the half marathon. After her first full marathon, she wanted to increase distance further into the realm of the ultramarathon. She did a few 50k races such as Tuffman Mashobra Ultra and Chennai Trail Marathon. In 2017, she did the 72k Khardung La Challenge. She was the winner among women in this race. In 2018, she participated in the 111k category of La Ultra The High finishing in twelfth place. Her next race is the 2019 National Marathon Championships to be held in New Delhi on February 24. 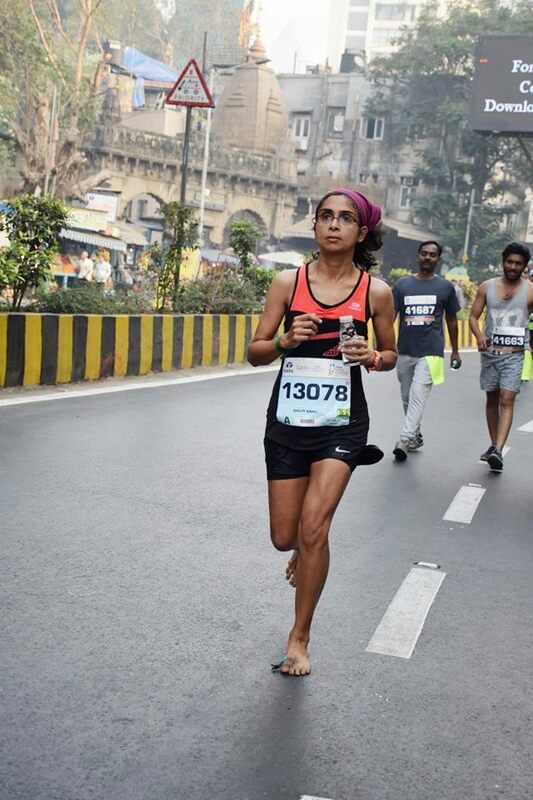 According to Shikha, her preferred distance is ultra runs in excess of 100 k.
A barefoot runner, Shilpi Sahu commenced her running career about nine years ago. “I was active in sports during my school days, mostly in track and field events. But, I was not very serious about it,” she said. Later during her B.Tech days at IIT Kharagpur, she also played basketball. In a bid to stay physically active, she continued with short jogs. An engineer with Qualcomm in Bengaluru and a mother, Shilpi does not get much time to focus on running. In 2010, with just three weeks of training, she enrolled for Bengaluru’s popular 10k run. “ I did not have much time to train as my child was still small,” she said. After running a few 10 kilometer-runs and half marathons she started running the full marathon in 2013. “I run three to four full marathons every year,” she said. This time around, her training was much better. At the 2019 TMM she finished the full marathon with a personal best of 3:34:34 hours. “In Mumbai, the route is easy. It is slightly humid but not that difficult. I find the crowd support very good in Mumbai,” she said. She prefers the full marathon distance because she finds it challenging compared to the 10k and half marathon. Shilpi is involved in sustainable zero waste initiatives. She raised a petition to Mumbai Marathon organizer Procam and other key authorities to reduce the use of plastic during the event. The petition helped reduce the use of plastic but lot more needs to be done in the area of greening the marathon, she said. According to her, the petition found support from over 100,000 people. She is part of a trust that manages urban lakes including Kaikondrahalli Lake in Bengaluru. She is also a key member of Green the Red, a volunteer led campaign to make women aware of healthy and sustainable menstrual products and help them make better choices. As part of her efforts to minimize carbon footprint, she cycles to work daily. Known for his meticulous training, Pravin, a pediatrician and running coach, often secures podium finish at the events he participates in. He has been running the Mumbai Marathon for many years. This time he ended up on the podium; his first time so at this marquee event. “I started the run well. I had to hit a certain pace but ensure that I do not go beyond that. I was able to maintain my pace as per my plan,” he said. Around the 35 kilometer-mark he started to suspect cramps and his pace dropped. “Also, I was recovering from viral infection and so could not push myself in the last stretch of the marathon. Nevertheless, this was my first podium finish in the Mumbai Marathon,” he said. Pravin completed the full marathon in 3:39:30. With Tata taking over the title sponsorship of Mumbai Marathon, the event, he believes, is becoming more runner-centric. This is evident in some of the changes in the organization of the race – ten minute early start, segregation of the lane for full marathon runners towards the end, introduction of 10 k race and post-run arrangements. Barring a couple of drawbacks the run was well organised. “I will definitely continue to run Mumbai Marathon,” he said. 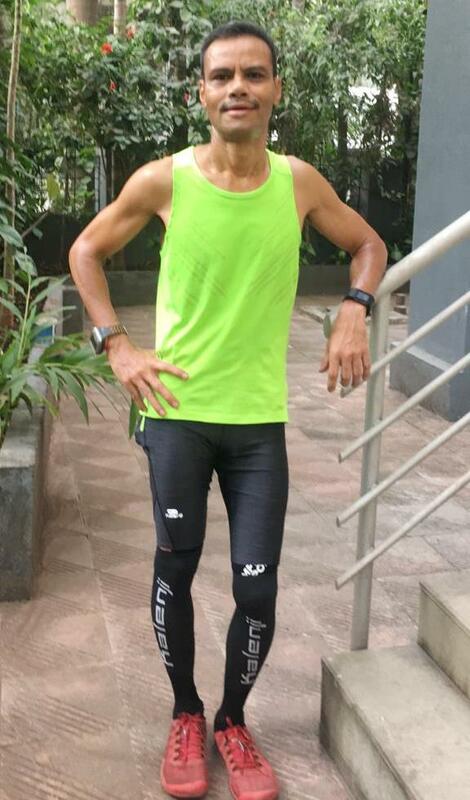 One of India’s best known coaches for amateur runners taking to the marathon, K.C. Kothandapani is known for his meticulous training. 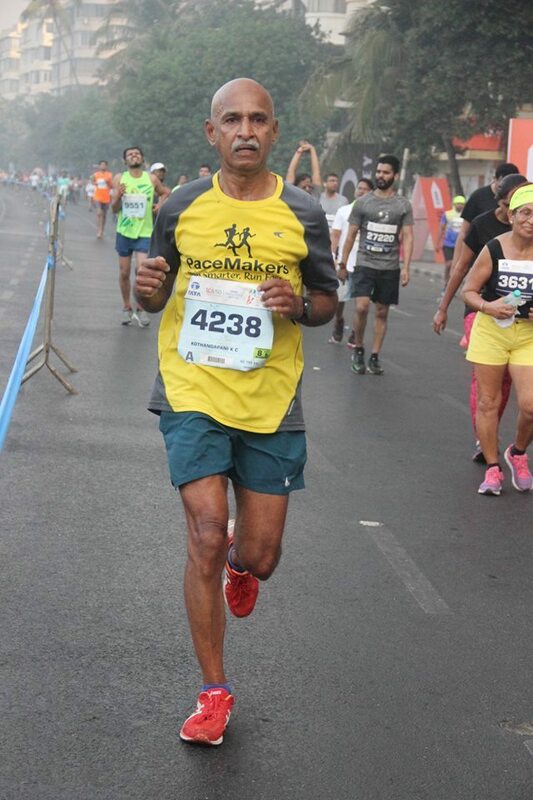 Formerly with the Indian Air Force (IAF), Kothandapani or “Pani Sir’’ as he is referred to by his wards, is a regular at Mumbai Marathon and often ends up on the podium in his age category. 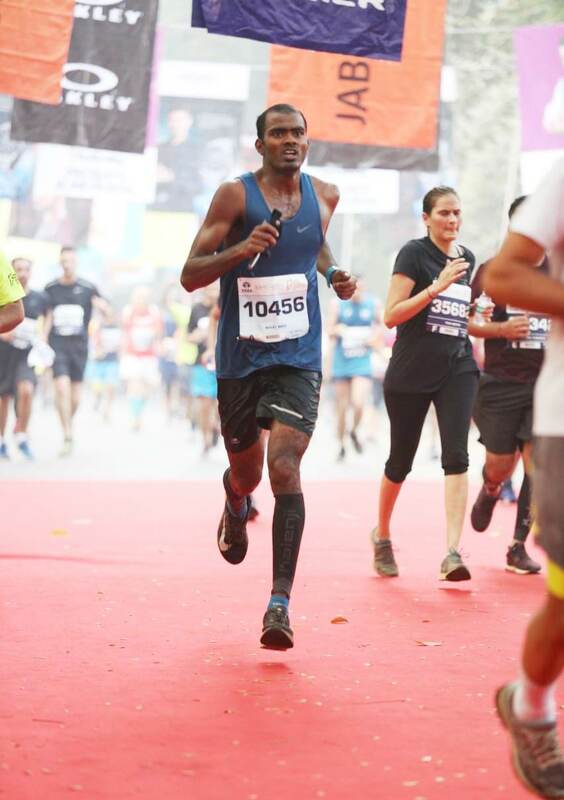 During the 2019 edition of TMM, Kothandapani had a disciplined run. “For the first half of the distance, I was pacing runner Ranjini and we covered the distance in 1:48 hours. She continued with me until 27k and then asked me to go ahead. In the second half I increased my pace and finished the distance in 1:45 hours ending with a negative split,” he said. This time, he planned his race well and did not push needlessly. He also ensured that his heart rate did not increase unduly until the 37th kilometer. “For the rest of the distance, I gave my 100 per cent and finished strong,” he said adding that his run went as per plan. His hydration and nutrition plan also worked well. “Every 20 minutes, I took 200 ml of water and every seventh kilometer I had a gel. I took five gels in all. After 35 k I did not take any gels,” he said. He did not feel the impact of the humidity at all. This time the execution of Mumbai Marathon was quite good. “Mumbai Marathon is the number one race in the country with crowd support and cheering,” he said. The only dampener was the nearly-four hour delay his flight from Bengaluru to Mumbai faced. “On Saturday, we were up at 3:30 AM and managed to reach our hotel only by 9 PM as we had to go and collect our bibs too on the same day,” he said. Next on the cards for Kothandapani is the London Marathon of April 28. With this marathon, he will be completing the World Marathon Majors. In 2015, he did Boston Marathon followed by Berlin Marathon in 2016. In 2017, he did Tokyo Marathon. In the same year, he also did Chicago Marathon and New York City Marathon. In 2018, he attempted Boston Marathon for the second time but had to give up at 30 k because of adverse weather conditions. A farmer from Dabhiya village in Jaunpur district of Uttar Pradesh, Sabhajeet runs to earn the prize money that comes with each of the races. He is a regular podium finisher at races across India and winner multiple times in his age category at the Mumbai Marathon. In August 2018, he was down with typhoid and that impacted his strength. As a result he ended up in fourth position at Airtel Delhi Half Marathon in October 2018. However, he made up at the Vasai-Virar Marathon finishing first in the full marathon distance in his age category. At the Mumbai Marathon, he managed good pace until the 12th kilometer. After that, his pace started to drop. He also had difficulty moving his right arm due to shoulder ache. “After the Vasai-Virar run, my training was quite inadequate. I had not done a single run of over 15 kilometers. Had I done even one training run of 30 kilometers I would have been able to do better here,” he said. On Sunday he finished the full marathon at 2019 TMM in 3:34:00. 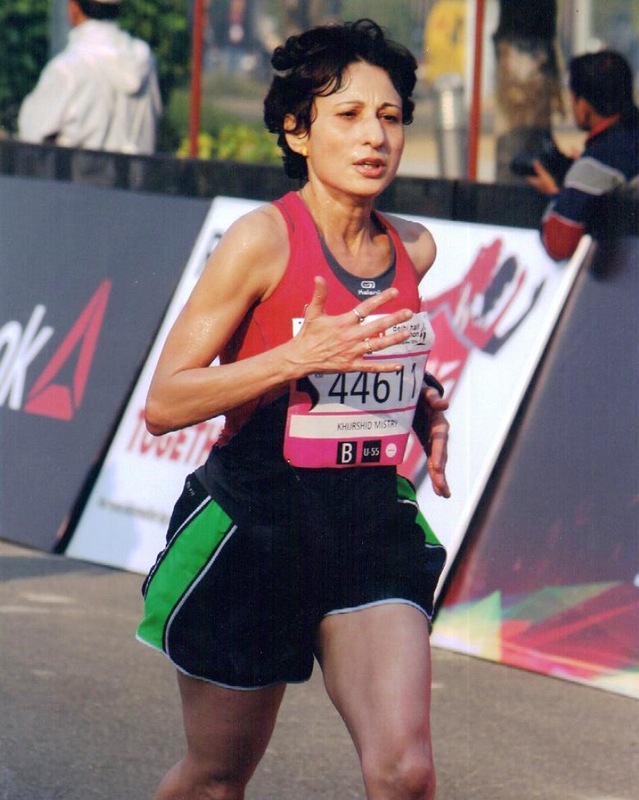 Sabhajeet will be back in Mumbai in February to attempt the Thane Hiranandani Half Marathon. This was the ninth time Shyam Sunder was running the Mumbai Marathon. He usually runs the full marathon in around 4:50 hours. In terms of the time he took to complete the run, the Tata Mumbai Marathon 2019 edition did not go well for him. “I developed cramps along the way and I had to resort to walk-run. I started the run at a slower pace of seven minutes per kilometer for the first half of the course compared with my normal pace of 6:30 minutes per kilometer,” he said. At the 23rd kilometer he started to get cramps in his calves and thighs. He had to resort to walking. “Every time I tried to run, I would have shooting pain and I had to slow down and walk. In the process, I lost a lot of time. The latter part of the run went off well and I completed the run without any aches. Many people were complaining about the adverse weather but I did not feel its impact. I am surprised by the podium position,” he said. Shyam Sunder completed the full marathon in 5:24:06, placing second in his age category. Septuagenarian runner Ramachandra Rao participates in very few running events. A retired scientist, his preferred distance is the half marathon. 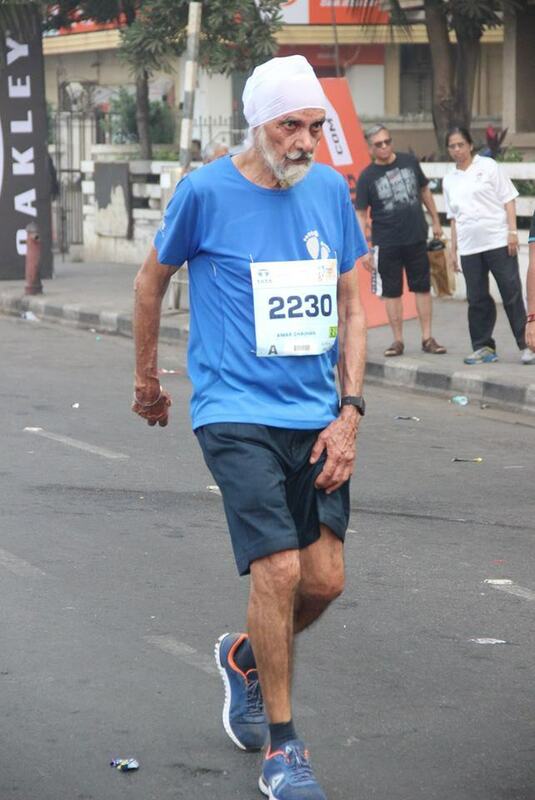 He has been a regular at the Mumbai Marathon for many years. His training was modest this time. 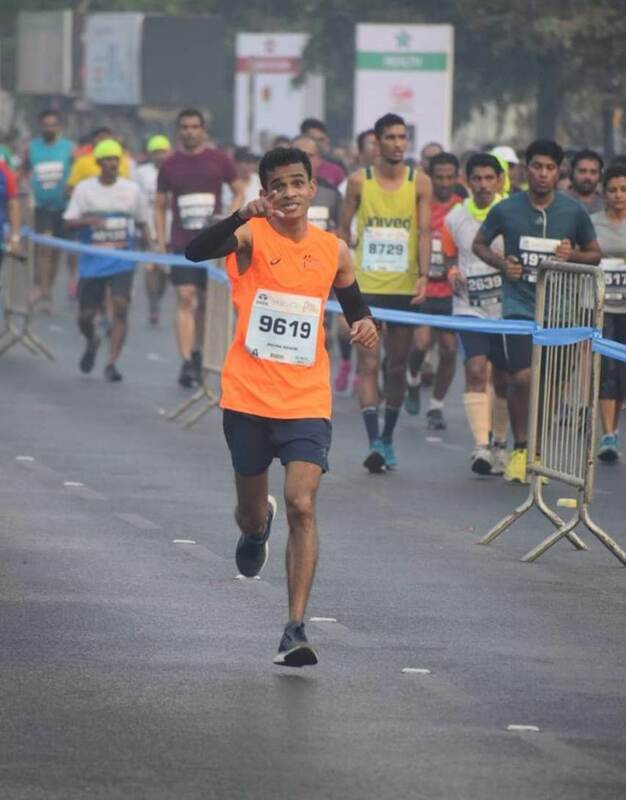 “As the years advance, one tends to slow down,” he told this blog a day after the 2019 Tata Mumbai Marathon (TMM). His half marathon run at TMM – he covered the distance in 2:00:57 – put him at the top in his age category of 70-74 years. “Last year, I was trapped by slow half marathon runners. This time, I had no problem at all. The arrangements were quite good. Right from bib collection to post-run nutrition everything was arranged very efficiently,” he said. Rao prefers to participate in very few running events. “Right now, I just want to recover from this run,” he said adding that there are no major events planned in the next few weeks. 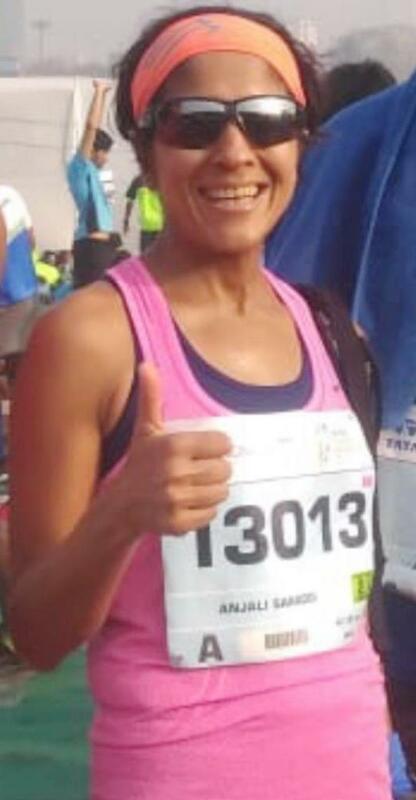 Lata chose to run the half marathon this time at TMM primarily because she is due to run the Tokyo Marathon in March and the Boston Marathon in April. “I also wanted to find out if I can win the half marathon in my age group here. I feel it is more difficult to win a half marathon compared to the full marathon,” she said. At 2019 TMM, she finished first in her age group of 60-64 years in the half marathon but was unable to achieve the timing she had targeted – a sub 1:55. She completed the race in 1:59:03. “The weather was bad and I had a cold. Barring these two factors, my run went off quite well,” she said. Many of her friends and co-runners suffered cramps because of the warm weather. “I enjoyed the run this time. The event was efficiently managed. The only difficult stretch for me was the Marine Drive section of the course,” she said. A regular podium finisher at many of the half marathon races she goes to, Khurshid had a difficult race this time. “I had a 1.3 centimeter tear in my hamstring muscle and that hampered my running all along. I started my run fast but later controlled my pace on the sea link,” she said. Every passing kilometer proved to be tough for her as she was in pain. Over and above that, weather was quite warm. She completed the half marathon at 2019 TMM in 2:00:40. “I have been having hamstring problem since August 2018. After Vasai Virar Marathon, the problem aggravated. A week before Mumbai Marathon I consulted a doctor and tests showed that I have a tear in my hamstring muscle. I will be off training for the next six weeks to allow for healing,” she said. Khurshid, who balances half marathon races and sprinting events, was scheduled to go for the National Masters’ Athletics Meet in February. But with the hamstring injury she has decided to opt out of it. 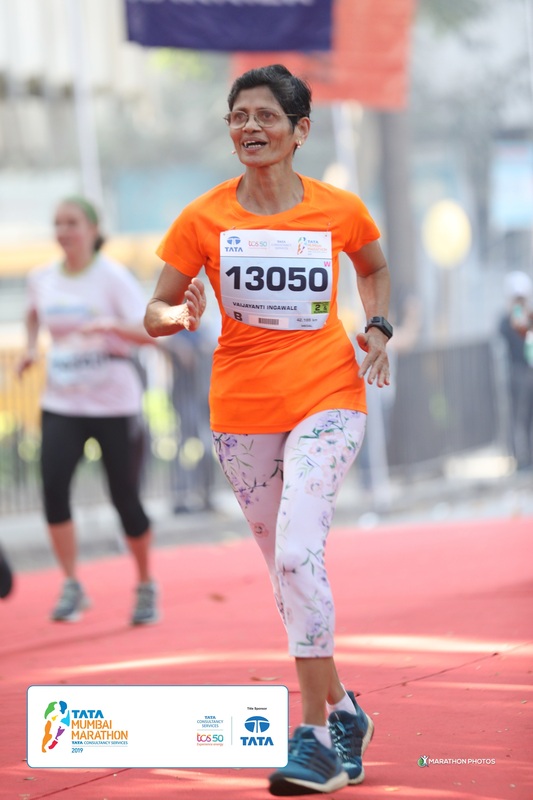 Kavitha chose to run the half marathon at the 2019 edition of Mumbai Marathon. “For the last two years I have been running the half marathon in Mumbai. In April this year I will be participating in the London Marathon. Therefore, I did not want to do the full marathon here. I decided to stick with the half. I try and attempt a maximum of two marathons in a year as recovery from race takes time,” she said. This time at Mumbai Marathon, her run was good although she ended tad short of her targeted timing of 1:35 hours. She finished in 1:36 hours. “Overall, I ended up in 11th position among women half marathon runners,” she said. 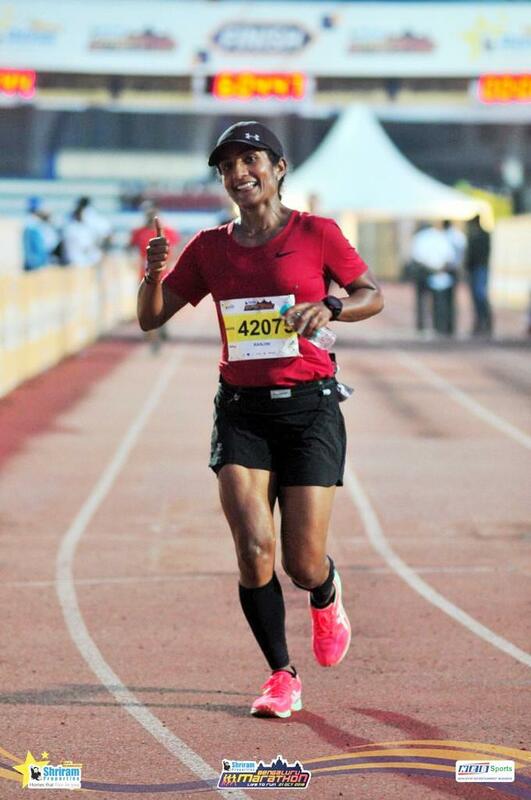 Vaishali has been running for the past 17-18 years; she has been participating in races for the last ten years. Amid busy corporate life, managing family and active involvement in SonderConnect – an organization focused on empowering and promoting women entrepreneurs – where she is co-founder, running helps Vaishali find that elusive balance. “I have a very busy schedule that involves a lot of travel both within the country as well as overseas. Running is something that helps me balance my corporate and personal life,” she said. Her training is therefore not very strict although she would like to train more seriously. “Running is food for my soul,” she said. She considers Tata Mumbai Marathon (TMM) as flagship race of the country. “It is a very well organised event and the course is good. Yes, weather is an issue. I did struggle a bit because of the weather,” Vaishali said. The struggle was partly because Vaishali, a resident of Bengaluru, is not often exposed to humidity levels akin to that of Mumbai during her training runs. “Last two months have been quite cold in Bengaluru. I had not trained in humid conditions at all,” she said. She finished the half marathon at 2019 TMM in 1:45:01 hours. 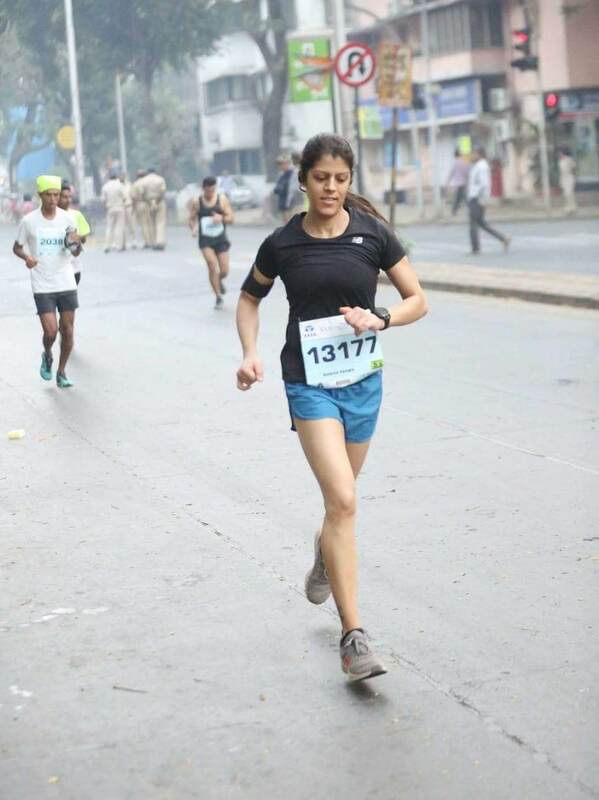 She has been running Mumbai Marathon since 2010, attempting both the half marathon and marathon races. Having completed the World Marathon Majors, Comrades Marathon and a couple of 100 k runs, Vaishali has no specific target in terms of running events to participate in. “I will be running shorter distance races and focusing on building my strength,” she said. Faced with a plantar fasciitis problem Idris could train for only 45 days. Nevertheless, the run went off well and he ended up winner in his age category with timing of 1:24:37. This time, the organization of Mumbai Marathon was much better. I have no complaints of weather because I come from Chennai where we experience similar weather conditions,” Idris said. He will be participating in the National Masters’ Meet at Guntur in February. There he will take part in four events – 800 meters, 1,500 meters, 5,000 meters and 10,000 meters. Going ahead, his plan is to participate in the Half Ironman event at Goa in October but that would entirely depend on his training in cycling. “I am good in running and swimming but need to improve my cycling.” Idris is a regular podium finisher at most marathon races that he participates in around the country. 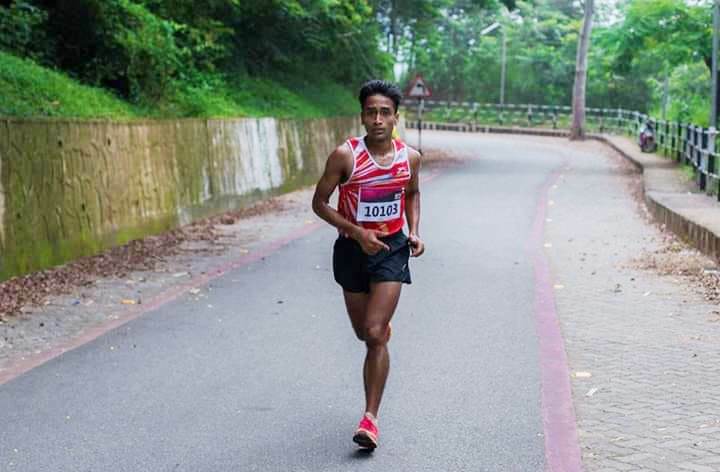 Hailing from financially challenged circumstances and consequently known to make ends meet by racing for prize money, Kamlya Bhagat had completed his half marathon at 2019 TMM on a note of dissatisfaction. “ I did well for the first ten kilometers. Then my left hamstring started to hurt. At one point I thought of giving up. But I decided otherwise and told myself to continue,’’ he said. According to him, after he finished he didn’t bother to find out about his standing in the results; he expected nothing. By next morning however, he had the race result on his phone, official timing of 1:23:08 and a second place in his age category to chew on. For Kamlya who now works at a school in Taloja, 2019 TMM happened with a rather short run-up in terms of preparation. “ I decided to go in rather late in the day,’’ he said. The hamstring in question had been troubling him since the past four months. He also missed Dnyaneshwar Tidke with whom he had enjoyed many a training session. 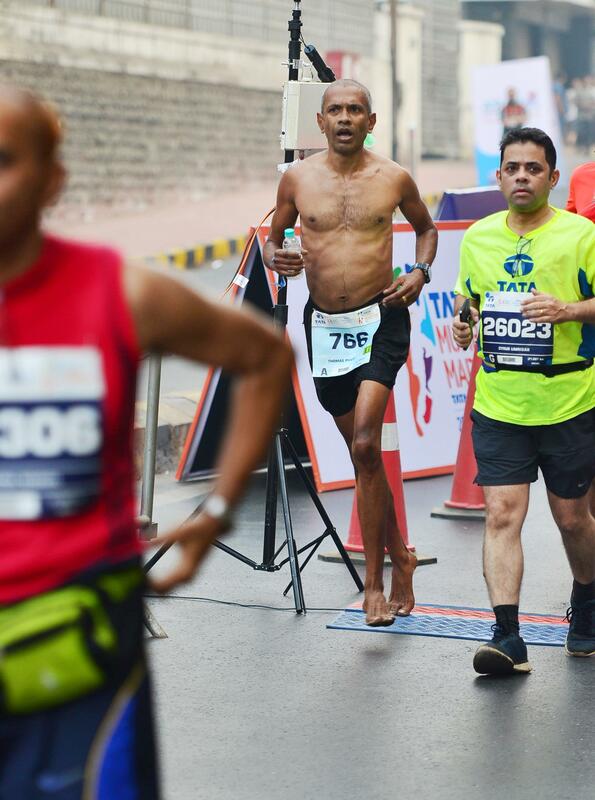 Following knee surgery, Dnyaneshwar – he is among Mumbai’s best marathoners – was forced to sit out 2019 TMM. “ Eventually, I trained for TMM all of one week. My longest run in that period was of 18 kilometers and I did that just once,’’ Kamlya said. What should interest about this avowed runner of short and middle distance races – not to mention someone who fears that any attempt at the full marathon may result in pace reduced over the short / middle distances that are his bread and butter – are the moves being made to get familiar with longer hauls. In the year that went by he placed second in a 35 kilometer-run in Lonavala. He plans to attempt it again. Does it mean a full marathon sometime in the future? Kamlya was unsure about it. “ I am yet to get my pacing and strategy correct in the longer distances,’’ he said. “I had good fun running the half marathon distance at TMM,” said Thomas Pallithazhath. He finished the run in 1:34:54 securing third position in the age group of 55-59 years. In December 2018, he got a personal best of 1:33 running at an event in Pune. He was hoping to maintain or improve it at TMM but fell short by a minute. 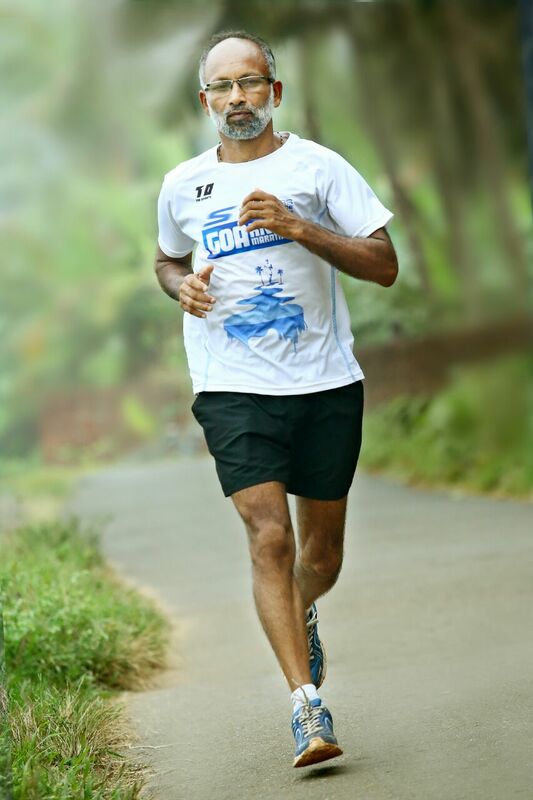 A resident of Wayanad, Thomas took to running seriously after the age of 50. He works as a driver in Kerala. He took to driving as an occupation several years ago when he suffered losses in a business that he was managing. “As a driver, one is forced to sit for several hours. For health reasons, I took to yoga during those years,” he said. His house in Wayanad is in close proximity to the villages T. Gopi and O.P. Jaisha, elite athletes, hail from. Around the time Thomas turned 50 years of age, he started to develop knee pain. “A friend told me that running would help reduce the ache. I started running and my weight came down. My running-lifestyle helped me a great deal,” he said. Thomas has secured podium finishes at many of the events he took part in. “I did participate in a couple of full marathon races but I felt it was prudent to stick to half marathon. My job as a driver is very hectic and if I have to do full marathon I need to take time off work to rest and recover. Running the half marathon is easier to manage with work,” he said. He believes his stamina improved tremendously after he chose to eat raw foods such as nuts, fruits and sprouts. “Once a day, I eat sambhar rice but otherwise I only eat raw food. I have benefitted a lot from this diet. My stamina has improved a great deal,” he said.